Proud father-in-law department of the blog now open! 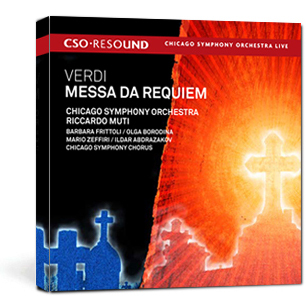 It was announced last weekend that the recent recording of the Verdi “Requiem,” by the Chicago Symphony Orchestra and Chorus, won the Grammy awards for both Classical Album of the Year and Best Choral Album. It was conducted by the CSO’s new conductor, Riccardo Muti, with chorus preparation by Duain Wolfe, and released on the CSO’s own Resound label. Why am I mentioning it here? Because my son-in-law is a tenor in the CSO Chorus, and has been for quite a few years. He sang on that recording. It takes a lot for the CSO Chorus members to prepare, because most of them have “day jobs,” like he does – he’s a high school choral director. (Unlike the CSO, which is full-time, even though those folks also teach and perform outside of their CSO schedules.) Everyone in the chorus sacrifices a lot and works hard to be members of that group, as do their families – it’s a lot of nights away from home. Every so often though, something comes up that makes it worthwhile, whether it is a truly trancendental performance experience or something like this – which is a wonderful tribute to their work! It also shows that the CSO board made a good choice when they selected Muti as the newest conductor of the orchestra. Congratulations to all concerned, and especially to Matt! 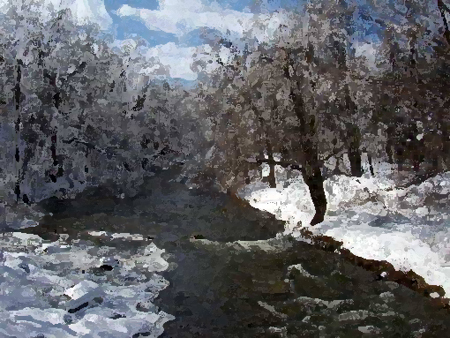 Back when I was a kid, there was a newspaper column that was probably syndicated – I saw it in the Toledo Blade. (That paper was my first introduction to left-leaning editorials, don’t you know.) The guy who wrote this folksy column occasionally had a topic called “Things I Learned En Route To Looking Up Other Things,” or something like that. I can’t find the author of the column; now that I think of it, he may have been a local writer after all. It was, as it says, a bunch of little tidbits of information he found interesting that he never would have researched deliberately. Anyway, nowadays, we call that surfing the Internet, I guess. While a lot of us – maybe most of us – waste more than a little time futzing around on the Internet, I doubt that all of that time was completely wasted. We may be the first generation to really learn things in spite of ourselves! I still don’t really understand why Chicagoans would want Rahm Emanuel as mayor. I don’t see what makes him such a good candidate. To be honest, until he went to Washington to become Obama’s hatchet man, I don’t think I’d ever even heard of him. Now, the rest of the field doesn’t look that outstanding, either, but except for his visibility the last two years, I doubt that many Chicagoans could tell you what he did, either. I think we’re all going to miss Rich Daley a lot more than we expect we will. The unrest in Egypt, Algeria, and now Iran, maybe, has less to do with an American Revolution-style thirst for personal and economic freedom and more for a 1960s liberal freedom movement, I think. (And no, I’m not discounting the Islamic fundamentalism angle.) In these countries a very high percentage of the population, over 50 per cent, are under the age of 25. These are the Islamic world’s Baby Boomers. The dramatic influence our Boomers have had over the last 50 years, for good or ill, cannot be denied. Unfortunately. I think these young people aren’t going to be content demonstrating against a war, smoking a little dope and dropping a little acid. These folks are energetic, young, and damn dangerous. If our government handles them in a traditional diplomatic way I fear they will be completely ignored, and that spells real trouble for the stability of the Arab world, and for our security as well. Last weekend my wife and I went to the local professional live theater and saw “Spamalot.” I can’t call it dinner theater since you don’t have to have dinner there to attend; although they do have a restaurant on-premises and have special dinner and show packages. It’s a somewhat scaled-down production compared to the touring shows that come through Chicago, but I was thrilled with the level of performance quality we saw and heard. Great singing, in particular. The show was great fun and even if you’ve seen the movie you can’t predict what’s going to happen in the second act…while there are bits and scenes that come from the film, this is definitely a “reimagining” and Eric Idle and his composing partner, John du Prez, did some really clever parodies of Broadway staples. I was particularly impressed by the actress performing the Lady of the Lake, Gina Milo. She not only has a beautiful voice but a command of a wide range of styles. I think you’ll hear a lot from her in the future. You are currently browsing the The Old Gray Cat blog archives for the day Tuesday, February 15th, 2011.